[April 11, 2019] Just moments ago, I read of the passing of the mother of one of my college professors. He described the unusual blessing of living to be 71 years of age before being orphaned. On the same social media site, I scrolled down only to find my cousin’s tribute to his baby boy who died at birth. The pain of knowing he would never be able to watch his son grow up was palpable. The juxtaposition of these two items – more than 95 years of life on earth for one, and not even a single day outside his mother’s womb for the other – seemed strangely ironic. And unfair. Then I made the mistake of turning on a morning news program. Tucked beneath the daily (over)dose of political drama was a tragic item detailing the apparent suicides of two teens who were both survivors of a school shooting last year in Florida. It was reported that at least one of them had been struggling with PTSD. Though we will never know the whole picture, it seems that the trauma of surviving the massacre became too great to live with. Words escape me. Beyond heartbreaking. So unfair. Every day we live with the reality of death, even if we do everything possible to deny it. Like a spring storm, sometimes we only hear its thunder in the distance. Occasionally, perhaps, the lightning flashes. But sometimes we hear the sharp crack of a bolt that strikes way too close for comfort. When death gets that close, when it’s no longer something we read about in the news, but has struck someone we know and love and can’t imagine not having in our lives, our hearts recoil in shock, grief, and the unmistakable feeling that it’s just not fair. Of course, anyone who is familiar with the story knows that Jesus didn’t let Lazarus stay dead. 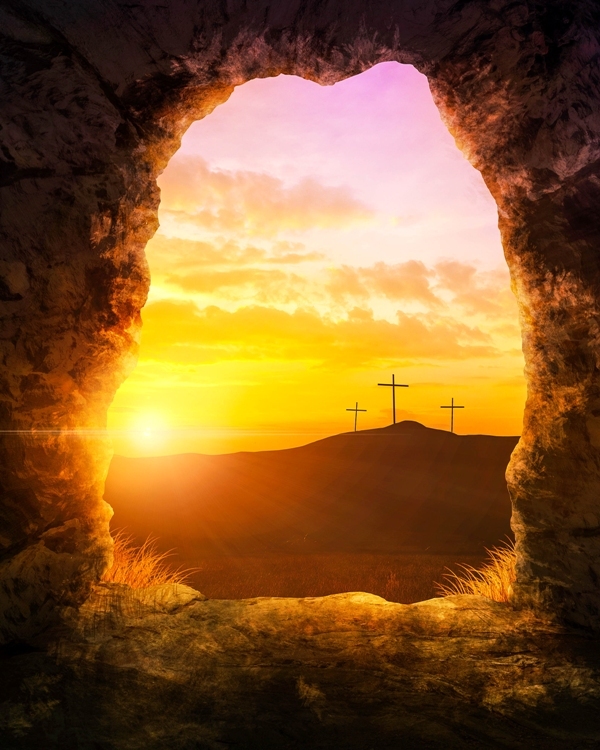 He called him out of the tomb, but not before reminding the sisters that He was truly the resurrection and the source of life. And as they approached Lazarus burial place, He wept. But Jesus didn’t stop at, “Gee, that’s too bad.” Because of our rebellion against God (both humanity in general as well as our own personal responses), we, sadly, deserve our death sentence. According to God’s word it is just. It is fair. What’s not fair is that Jesus never rebelled. Never sinned. Never retaliated. Never disobeyed. Never walked away. Never disrespected. Thankfully that’s not quite the end of the story. The sinless Son of God who died so innocently, but so violently, was restored to life. Not like Lazarus who came back only to have to die again someday. Jesus was raised, resurrected to eternal life. And now anyone who gives their life to Him has been promised to someday share that forever hope of a new body that won’t suffer age or decay. How unfair that He should die so that we can now live in the hope of the resurrection of the dead! So, this Easter we thank you, Jesus, for being unfair!